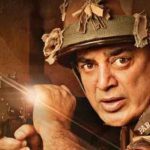 Superstar Kamal Haasan starrer much-awaited bilingual spy thriller Vishwaroopam 2 (titled Vishwaroop 2 in Hindi) was released this Friday amid the huge excitement of fans. Unfortunately, the movie has received mixed reviews from the critics but still registered the opening weekend on an overall decent note. Although, the Hindi version remained low throughout. 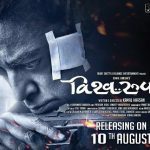 Unlike its prequel, Vishwaroop 2 got failed to hit the target right and got a mixed response from the audience as well. Because of the solid stardom of Kamal Haasan, it is doing well in south India but the north Indian audience is looking more focused towards the Independence Day’s releases- Akshay Kumar’s Gold & John Abraham’s Satyameva Jayate. 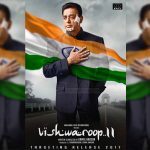 On the opening day, the second installment of franchise Vishwaroopam (Vishwaroop) took a low start for its Hindi version and did the business of only 1.75 crores after a slight jump in the evening & night shows. 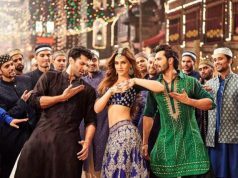 Then on Saturday, despite the partial holiday, it witnessed a limited jump and raked the business of 2.15 crores. On the next day i.e. Sunday, Kamal Haasan’s directorial showed a further jump and minted the amount of 2.35 crores. With this, the total collection of Vishwaroop 2 (Hindi) after the weekend has become 6.25 crores nett. 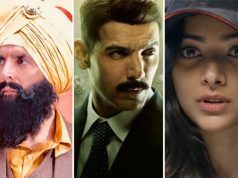 Now there is no more expectation left from the movie, as after 2 days much-awaited Bollywood offerings- Gold & Satyameva Jayate are releasing. From its Tamil & dubbed Telugu version, Vishwaroopam 2 is doing well and has an entire week to show its potential. Let see, how far it will go.